DanSing Performance Studio is looking to hire two dance instructors , we are looking for one in Carbonear and the other in our CBS location! Candidate is required to be fluent in Jazz, Ballet, and Modern. Must be comfortable working with children age 3 to 16 . 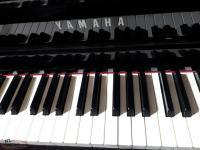 Piano and voice lessons for students ages 4 to adult. Highly qualified instructor with a B.Mus and 18 years of teaching experience. Individualized lesson plans to meet your unique goals! Professional studio space and equipment. khearnstudio@gmail.com or 691-1767 for more information. Hi, I'm interested in the 'Dance Instructor' posted on NL Classifieds! Please contact me if still available.